Active Car Rental, Dolmen Hotel,	Triq il-Qawra, Qawra SPB 2402 Tel: 21239421. Aquarius Rent A Car, 117,	Triq San Pawl, St Paul’s Bay SPB 3413 Tel: 21575736. Astra Car Hire Ltd, Triq il-Qawra, Qawra SPB 1904 Tel: 21575171.
bestratescarrentals.com, c/o Bella Vista Hotel,	Triq il-Qawra, Qawra SPB 1908 Tel: 79491122. Budget Car & Van Rental & Leasing, Triq Ananija, Qawra SPB 1320 Tel: 25677123. Burmarrad Commercials Ltd, Triq Burmarrad, Burmarrad SPB 9060 Tel: 21573261. 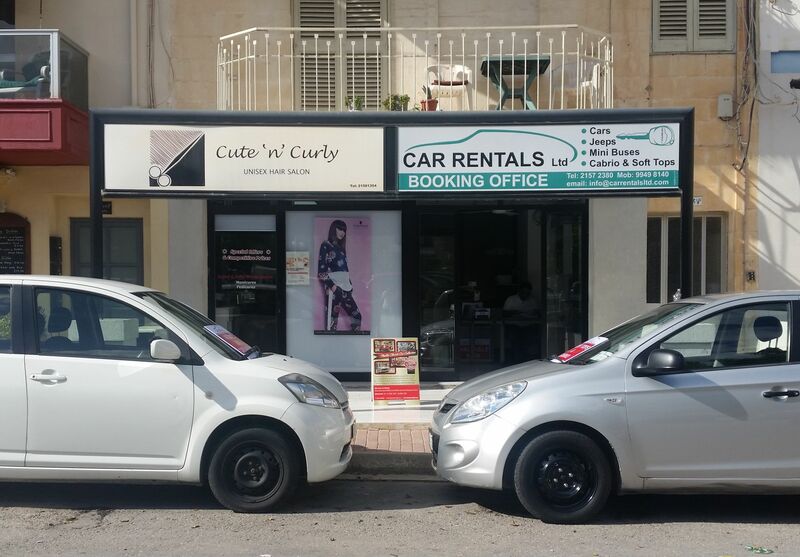 Car Rentals Ltd, 8,	Triq il-Fliegu, Qawra SPB 1400 Welcome to Car Rentals Ltd Car Rentals Ltd is a family run company and we guarantee a personalised service taking special care to make sure that you enjoy safe driving in Malta. Our head office is in Bugibba which is a busy tourist town. Our committment is to providing the highest quality of service to both […] Tel: 21572380. Carolina Car Hire, Triq il-Lampuki, St Paul’s Bay SPB 3061 Tel: 79490647. Compass Car Hire, Triq il-Korp tal-Pijunieri, Bugibba SPB 2550 Tel: 21571316. D C Car Rentals, Triq it-Turisti, Qawra SPB Tel: 21582780. David’s Rent A Car, Triq Gulju, Bugibba SPB 2162 Tel: 99496920. Eagle Car Hire, 45,	Triq il-Gifen, Bugibba SPB 2844 Tel: 21577838. EMM Enterprises Ltd, Triq Gulju, Bugibba SPB 2617 Tel: 21572122. Frank’s Auto Rentals, Triq Censu Tanti, St Paul’s Bay SPB 3023 Tel: 21576239. Freeways Auto Rental, Triq Horatio Nelson, Qawra SPB 1593 Welcome to Freeways Car Rental and Taxi Service We are an experienced family run business established in Qawra for more than 30 years. Our customers return to us for our quality of service and always low rates for our car hire. 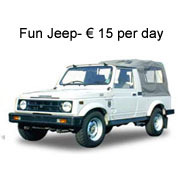 Looking to rent a car in Malta? Well look no further, Freeways Auto […] Tel: 79591768. George Garage, Triq it-Turisti, Qawra SPB 1023 Tel: 99495603. 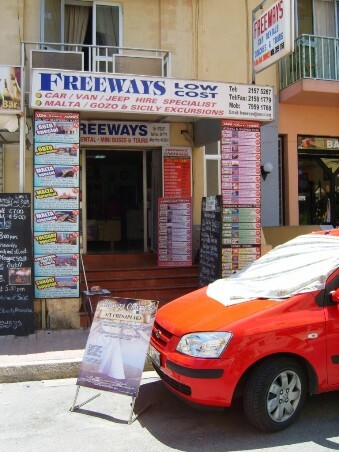 Godwin’s Car Hire, 6,	Triq ic-Caghaq, St Paul’s Bay SPB 3052 Tel: 99492353. Josef Car Hire Ltd, Triq il-Port Ruman, Qawra SPB 1701 Tel: 21571114. K W L Rent A Car, c/o Qawra Palace Hotel,	Triq il-Qawra, Qawra SPB 1900 Tel: 79421630. 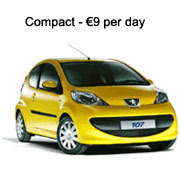 Liverpool Car Hire, Liverpool Garage,	Triq Patri Guzepp Calleja, St Paul’s Bay SPB 2735 Tel: 21571668. Marvic Car Hire, Triq it-Turisti, Qawra SPB Tel: 21575832. Matlock Car Rental, Triq in-Nakkri, Qawra SPB 1555 Tel: 99839482. Mirage Car Rentals, 246,	Triq it-Turisti, Bugibba SPB 1025 Tel: 21580313. 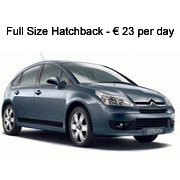 Pelican Car Rentals, Triq ic-Caghaq, St Paul’s Bay SPB 3051 Tel: 21576921. Peprina Garage, Triq il-Korp tal-Pijunieri, Bugibba SPB 2802 Tel: 21572331. Ray Bezzina Car Hire & Leasing, 1,	Dawret il-Gzejjer, Bugibba SPB 2503 Tel: 99493177. Roma Car Hire, Triq Toni Bajada, St Paul’s Bay SPB 3220 Tel: 21577222. Roy Car Hire, 53,	Triq Censu Tanti, Bugibba SPB 3029 Tel: 99821171. Star Tourist Services, Triq il-Korp tal-Pijunieri, Bugibba SPB 2550 Tel: 21571609. Sundrive Rentals, Triq it-Turisti, Qawra SPB 1908 Tel: 21583411. Swift Rent A Car Ltd, Dawret il-Gzejjer, Bugibba SPB 2507 Tel: 21571269. T J B Holdings Ltd, Blk A, Flat 3,	Triq il-Gwiebi, Bugibba SPB 2853 Tel: 99474646.